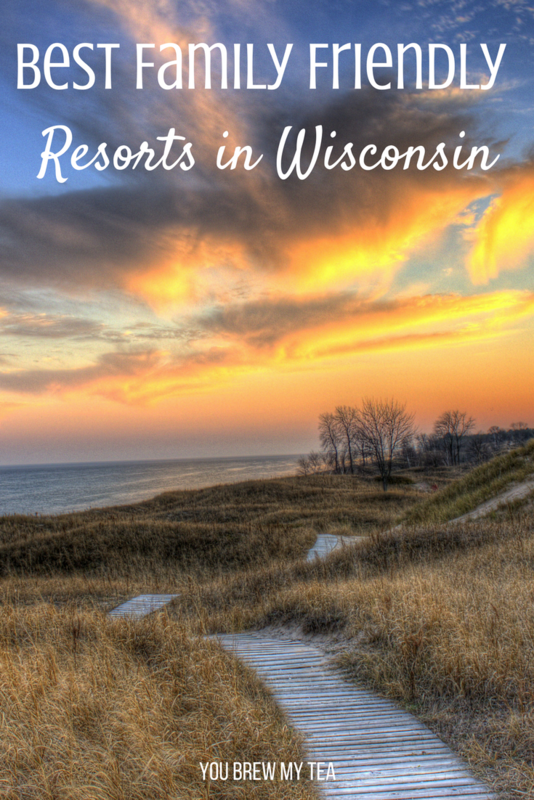 These Resorts in Wisconsin are top travel destinations for residents and nonresidents alike. Whether it be for the skiing in the winter or the beaches and waterparks come summer. With the abounding number of resorts and hotels within Wisconsin, you are sure to find a place that suits you and your families needs. 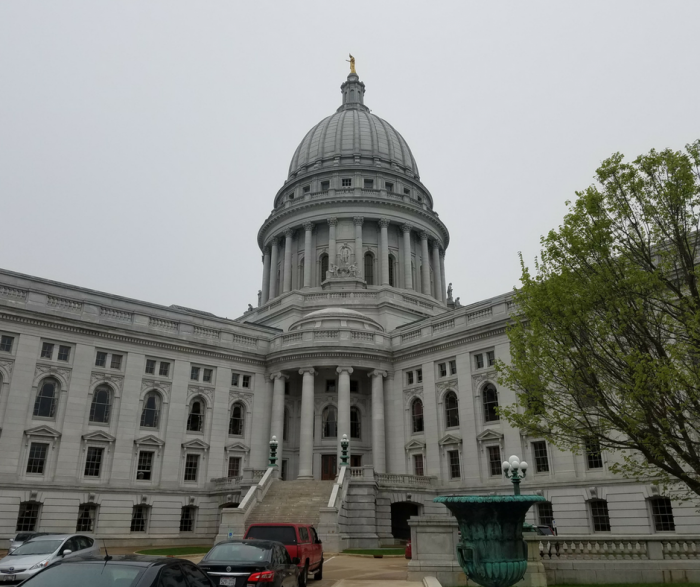 We love to travel, and since there is so much to offer here in Wisconsin, we know all about the best places to visit. For some of the resorts, you can find great deals using Groupon. You can also check out Endless Vacation Rentals for tons of lower priced options for a great getaway in Wisconsin. Delavan Lake Resort offers an indoor and outdoor pool, on-site spa, and game room. Staying here, you are within a close proximity to several local attractions. Plus, the suites are beautiful and homey. This is one of the most popular resorts in Wisconsin. Wilderness Resort has three available options for lodging. You can stay in the hotel portion, Glacial Canyon Lodge or, Wilderness on the Lake. No matter what type of lodging you choose for your family, your waterpark passes are included. You can buy a fun pass that will give you access to the other attractions on the premises without having to pay per attraction. The whole family will have a great time! Christmas Mountain Village is perfect for those who love skiing. It is also a beautiful place to stay if you want to enjoy the attractions in the dells as well. American Resort and Campground offers both hotel rooms and camping. Staying here gives you access to three indoor pools and whirlpools, basketball/ tennis/ volleyball courts, boat dock, 2 saunas, an outdoor pool and whirlpool and a picnic area with grills. Plus for each day of your stay you get tickets to Timbavati Wildlife Park and Noah’s Ark Water Park. Not to mention being within walking distance to several attractions. Metropolis Resort is the perfect location for families to stay in Eau Claire. Within the resort you will find Chaos Water Park, a Trampoline Park plus, beautiful modern rooms. Not to mention all the other things to do around Eau Claire. Hampton Inn Madison West is perfect for families with smaller kids. They offer a small play area in the pool to keep the littles occupied. Free hot breakfast and internet in every room. Plus, they offer free shuttle rides to any businesses within a five-mile radius during the week. While not really a resort, it is a great place to stay if you are looking for a more metropolitan stay. Holiday Inn Stevens Point lets kids under 11 eat free at any time during the day in the onsite restaurant and kids under 18 stay free in their parent’s room. They have a kiddie pool and water park on site along with lifeguards. There are several local attractions to see as well. Sunrise Lodge is open all year ‘round. Whether you are traveling in the summer or the winter (or anytime in between), Sunrise Lodge has planned activities for the whole family. Plus, they are happy to help you schedule other activities for your family during your stay. Timber Ridge Lodge and Water Park has all the amenities of home right in your suite. You will find a fully stocked kitchen (you bring the food), a large TV in the living room, high-speed internet, plus DVD players in the bedrooms. To top it all off, included in your stay is admission to the onsite water park. Plus, you can play in the arcade, go for a horseback ride, or enjoy some time in the spa. If you visit during the winter you can even hit the slopes. The number of Family Friendly Resorts in Wisconsin is pretty outstanding. The best place to stay really depends on the type of vacation your family is looking to have. There are places that are meant for a more relaxing time and places where you will be on the go all the time. No matter where you choose to stay, your family is sure to have a wonderful time.